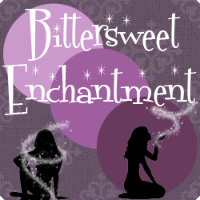 Bittersweet Enchantment: ARC Review: Once We Were by Kat Zhang + Giveaway! Back in September 2012 I read and reviewed book 1 in the The Hybrid Chronicles, What's Left of Me and simply adored it. The concept of one body sharing two souls is both different and unique. This truly fascinated me to no end. Author, Kat Zhang has done it again and totally blown my mind. Her sequel novel, Once We Were picks up almost directly after What's left of Me ended. Addie and Eva along with a few of their hybrid friends have escaped the government and are now in hiding. Addie and Eva are now living a safe house with their friends who support hybrid's. Both trying to august and settle into their new lives; for now. More than anything Addie and Eva long to learn how to "fade away". This is where one soul sleeps or pretty much disappears leaving the other one alone in the body but only temporary. Being able to fade gives each soul, Addie or Eva time in their body alone. This is something neither of them have ever had and so desperately want to experience especially when romance comes into the picture. Addie and Eva long for a normal life and to be able to stop running; to live among others and to stop being looked upon as a Hybrid. Although that may never happen. The Government is still on the hunt for Addie/Eva and all Hybrid's. They will stop any nothing to find them; but how far will the Hybrid's go to secure their safety? Once again Author Kat Zhang just totally rocked my socks off. I could not get enough! Addie and Eva's character's grew in leaps and bounds. Not only did their relationship grow with each other but with others in the book. I love seeing Eva fall in love and seeing "Addie" becoming more understanding of Eva's feelings. Also, there was SO, SOOO much more action in the book. So much planning, scheming, and finally taking change when it comes to overruling the government. Although the way they decided to do it was not good but sure did bring a lot of conflict and action into the story. The only thing I found a tad bit annoying was the pacing in the book. The beginning and ending was great but the middle was super slow and with some unnecessary dialogue. Overall the book really did live up to my expectations and without a doubt was a beautifully written sequel to What's Left of Me. Bravo Kat Zhang Bravo! I can't wait to find out what happens next! By the age of twelve, Kat had started her first novel and begun plans for her life as a Real Live Author (she was rather more confident at twelve than she is even now). Said plans didn't come into fruition until seven years later, when her agent sold her trilogy, The Hybrid Chronicles, to HarperCollins. The first book, WHAT'S LEFT OF ME–about a girl with two souls–will released September 18, 2012. 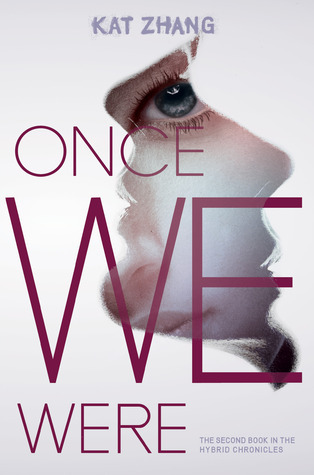 Book 2 in the series, ONCE WE WERE, will be released September 17, 2013. Kat is represented by Emmanuelle Morgen of Stonesong. She also performs as a Spoken Word poet and contributes to Pub(lishing) Crawl, a site for aspiring writers to talk about books, storytelling craft, and the publishing process. 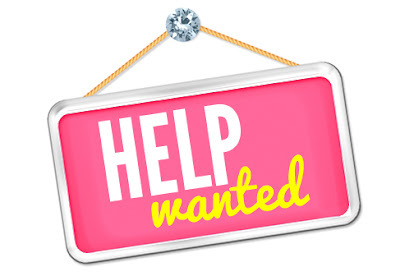 Kat has also had the pleasure of remote interning for a literary agent, specializing in Young Adult fiction. When she is not exploring the world of her characters, she is exploring her own. To date, she's had the pleasure of visiting five countries, including more than half of the United States. She hopes to always keep writing and traveling. Update: Rafflecopter form entries have been fixed. Sorry for the confusion. I'm not sure what I would choose. If it was a $50 GC for Amazon than maybe I would choose that only because I would be able to buy at least one more book. But I think it's cool that we get to win Once We Were :D Thanks! Great review! This looks so good! Thanks for the giveaway! Love the excerpt. The story sounds so interesting I can't wait to read the book when it is out. great review!! I have read the first book and i thought it was great--very unique!! The way it had left off i cant wait to read the next to see what happens next!!! I haven't even read the first one yet! But I've heard totally good things! Your problem with this book was my only problem with the first one. The pacing was frustrating. I enjoyed the book, but the middle started dragging and my attention waned. I hate that it seems book 2 does the same, but I am still very interested in continuing Eva and Addie's stories. It is such a unique and interesting concept. And I am super excited that there is more action in book 2. It is definitely on my wish list. 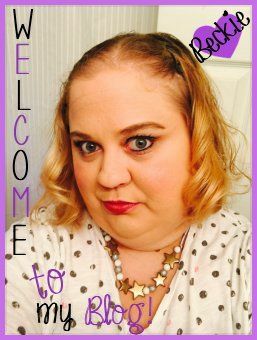 Thank you so much for the review and the giveaway!